In the upcoming weeks, we will be posting new videos to the SAP HANA Academy to show new features and functionality introduced with SAP HANA 2.0 Support Package Stack (SPS) 02. The topic of this blog is high availability. 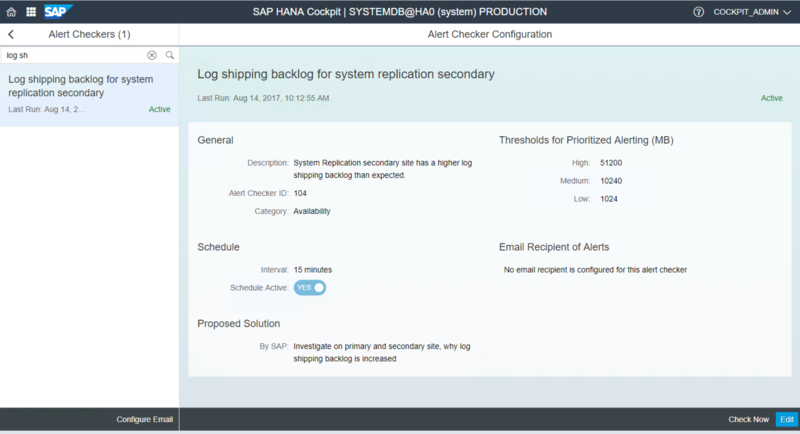 SAP HANA 2.0 introduced the Active/Active (read enabled) system replication operation mode, which allows read-only access to the secondary site. Initially, only column store tables were supported. As of SPS 02, all row store table types are now supported as well. The only table type not yet supported are column store no-logging tables. As of SPS 02, using Active/Active (read enabled) in combination with Dynamic Tiering is now supported. This does not yet provide read access to data stored in the dynamic tiering service but it does mean that the presence of DT no longer prohibits the configuration of the read enabled operation mode. It is now possible to copy or move a tenant database to or from a primary system in a running system replication configuration. The process to copy (or move) a tenant database has not changed. There are a number of prerequisite steps to enable the secure communication. Some of the steps can be performed using HANA cockpit but not all as a SQL interface is required to create the tenant as copy and to finalise the operation. The tenant copy replication status (step 2), is also displayed in cockpit. 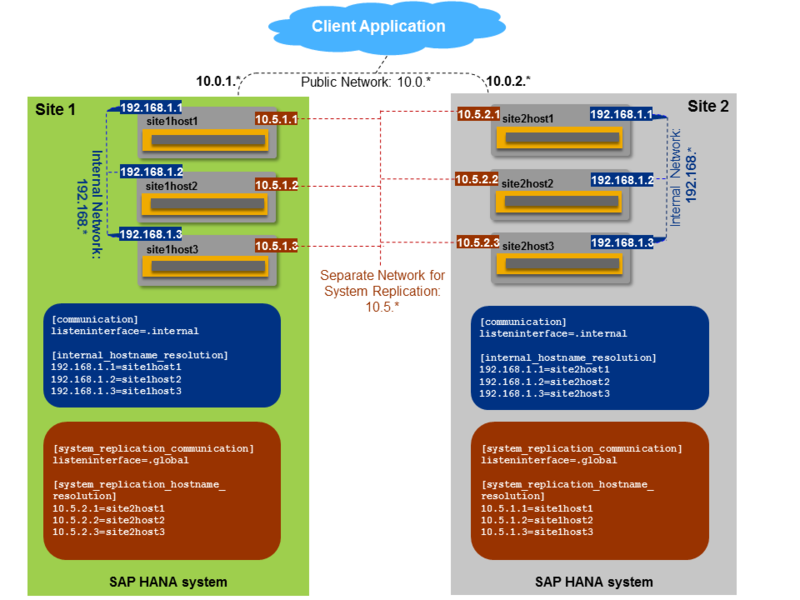 To enable the automation of additional tasks during the host auto-failover and system replication takeover process, SAP HANA system replication includes a Python-based API for the nameserver process. For example, to first stop the development system on the secondary site just before takeover. We refer to these as “hooks” or, more elegantly, HA/DR providers. SAP HANA 2.0 SPS 01 added the srServiceStateChanged() provider. In SPS 02, we have added the srReadAccessInitialized() provider, which shows on the primary system when the SQL ports are open on the secondary system. There is a sample HADR provider Python script file included which includes the code. A new alert has been added to the family, adding up the total to 115. Alert 104 Log shipping backlog for system replication secondary is raised when the backlog is increased, which may cause issues (data loss) on the secondary system in case a takeover is performed. 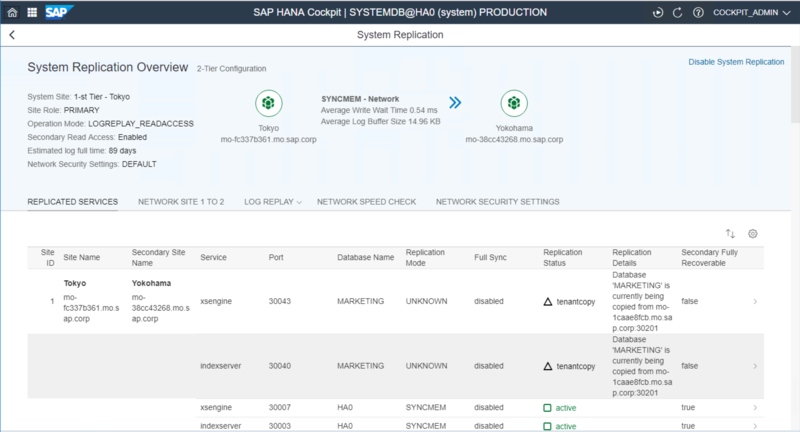 The header for System Replication Overview in the SAP HANA cockpit now informs us if secondary read access is enabled or pending – in case the operation mode is configured for LOGREPLAY_READACCESS – and about the network security settings. In cockpit, you can now also view your replication-related network security settings on the System Replication Overview page. Finally, a link has been added to the cockpit Overview page for direct access to the Monitor Network page. On this page, you can perform a network speed check using the Measure Network Speed link with a ping or by sending 1, 10, 100, or 1000 MB over the network. I’ve been looking around for info on setting up Smart Data access between 2 HANA systems. We’re looking into setting up a active/active replication scenario and would want to connect SDA on the secondary node. As far as I can interpret the notes it’s not possible, but I’m struggling to find a conclusive answer to my question. I do not know anything about SDA. But the feature should be usable in Active/Active (read enabled) landscapes. Please check the SDA-Documentation: https://help.sap.com/viewer/6b94445c94ae495c83a19646e7c3fd56/2.0.02/en-US/a07c7ff25997460bbcb73099fb59007d.html.